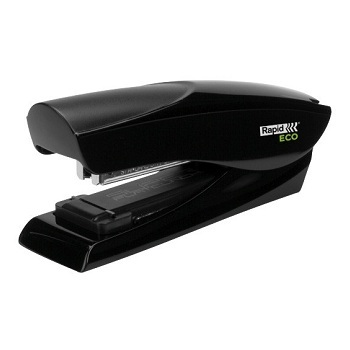 Ecoboard Office Stapler ... the more Enviro Friendly Choice ! Manufactured from recycled plastic - all plastic parts are 100% recyclable. 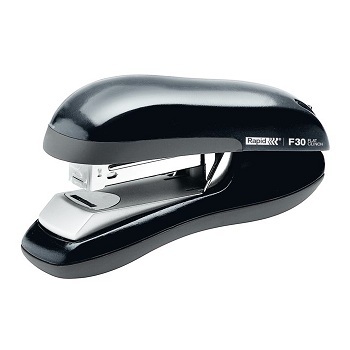 Half Strip Stapler. Capacity - 16 sheets. BEST SELLER. 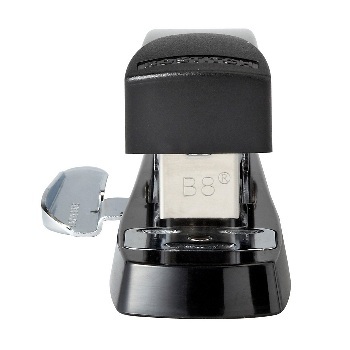 Modern design, sturdy plastic construction with rubber feet to protect desks. Half Strip Stapler. Capacity - 20 sheets. 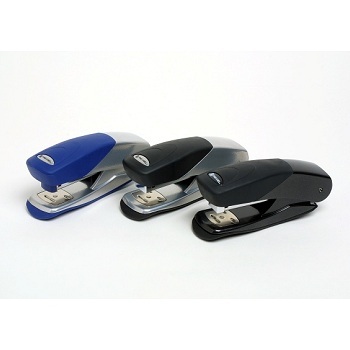 Modern design, sturdy plastic construction with rubber feet to protect desks. 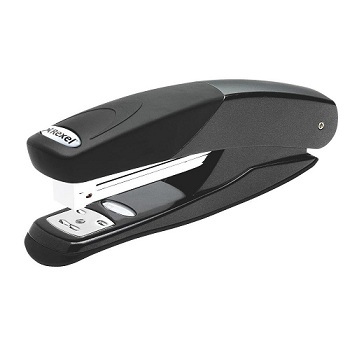 Full Strip Stapler. Capacity - 20 sheets. 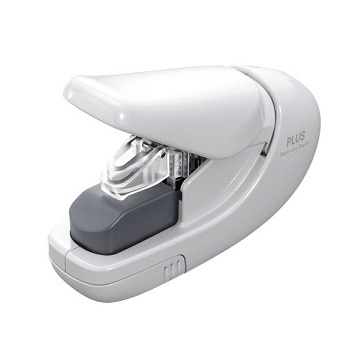 Double lever mechanism, requires only 50% the effort of a standard stapler. 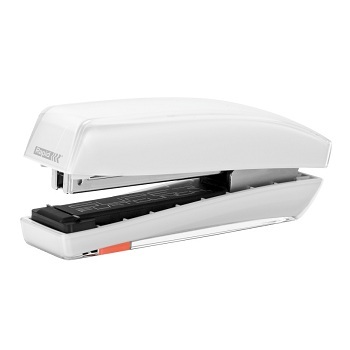 It offers a unique blend of performance and sophisticated design, suitable for any office. RECOMMENDED. 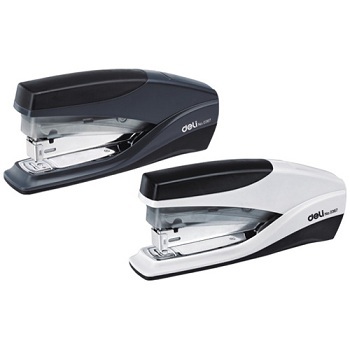 Elegant, stylish yet durable half strip desktop staplers. RECOMMENDED. 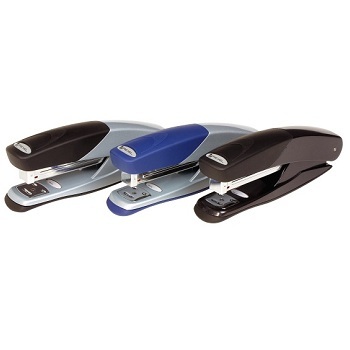 Elegant, stylish yet durable full strip desktop staplers. 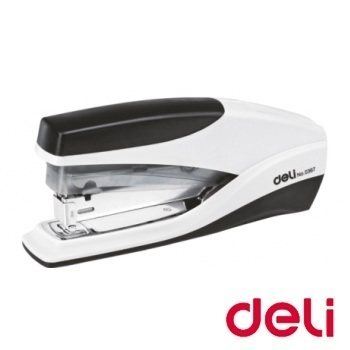 Designed to mould perfectly to your hand, this Deluxe Hand-Held Stapler is ideal for frequent stapling applications. 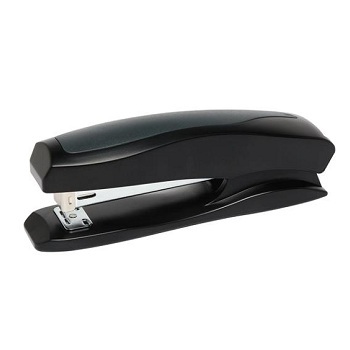 Durable all metal construction with elegant chrome finish complete with comfortable rubber grip. 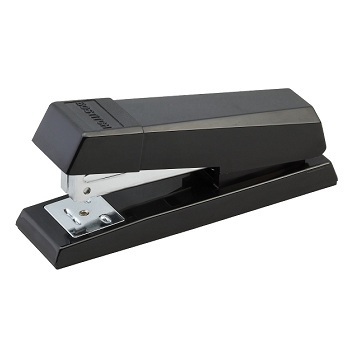 The integrated anchor hole allows you to secure the stapler to a desk or countertop. 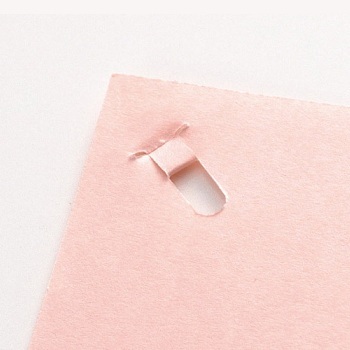 Easy top loading of staples. 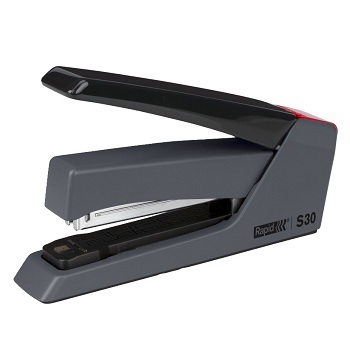 Convenient visual staple reload alert. 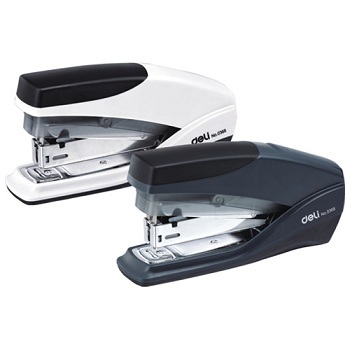 Uses No.56 (26/6) and No.26 (24/6) staples. 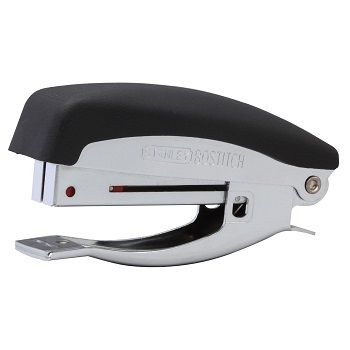 Classic Bostitch stapler built for maximum performance and durability. 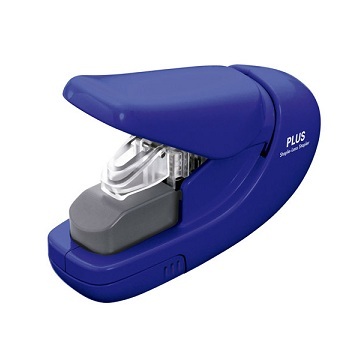 The versatile Dual Clinch system easily adjusts with just a simple twist for either permanent or temporary stapling. 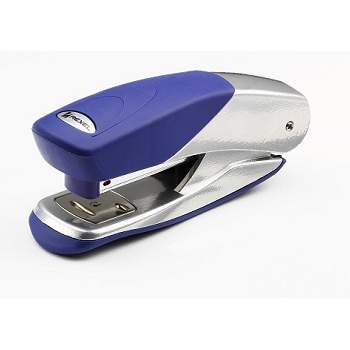 Opens for tacking and has staple supply indicator. 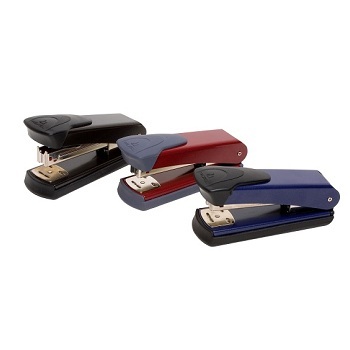 Durable all metal construction with full rubber base pad. Traditional Beige colour. 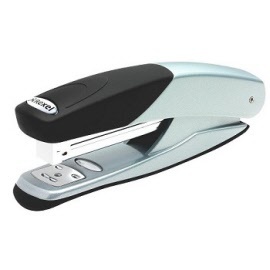 Half Strip Stapler. Capacity 20 sheets. 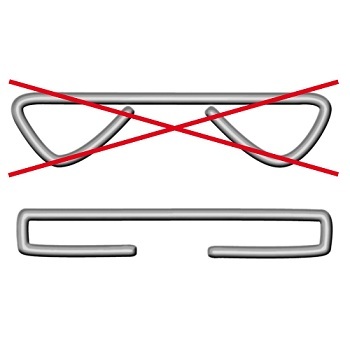 Put a stop to frustrating jams! Try this classic Bostitch stapler. 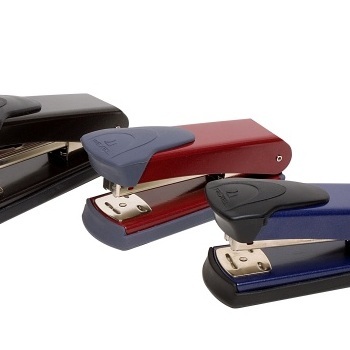 AntiJam floating core eliminates staple jams. 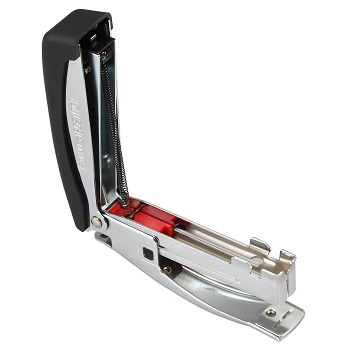 Opens for tacking and has staple supply indicator. Metal mechanism and durable plastic casing with chip-resistant finish. Black colour. New contoured design sculpted to fit the hand. 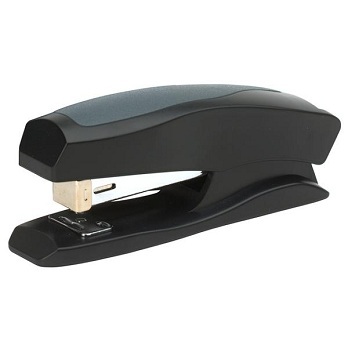 Soft-feel rubber base pad for quiet stapling and protection of your desk surfaces. Complete with name plate and staple storage compartment. 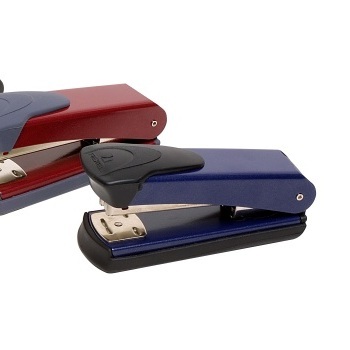 Stylish, innovative half strip design with stronger all metal die cast construction. 42% heavier for increased durability and reliability. Patented Jam-free mechanism and name plate for personalisation. 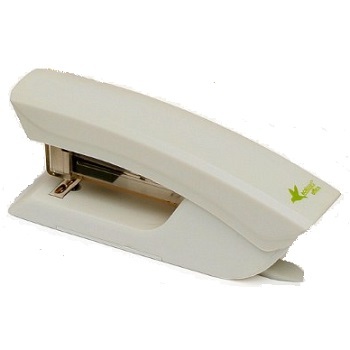 Soft feel non-slip rubber cap and base, complete with handy staple remover. Stylish, innovative full strip design with stronger all metal die cast construction. 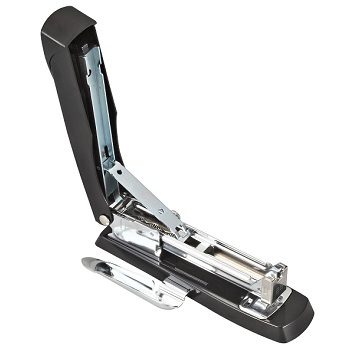 Soft feel non-slip rubber cap and base, complete with integrated staple remover. 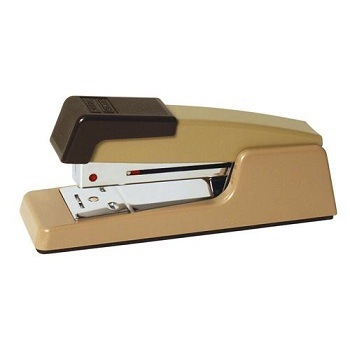 Full Strip Stapler. 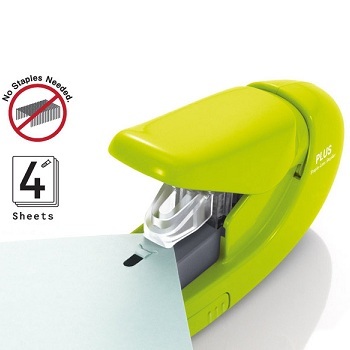 Capacity - 25 sheets. The Rapid ECO half strip provides you with a perfect stapling result and a clear conscience. The patented SuperFlatClinch™ technology allows you to get superflat results - up to 40% reduced paper stacks. 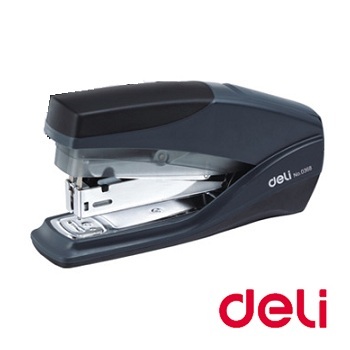 All metal inside with 80% recycled plastic with soy-based printing and is packed in recycled cardboard. 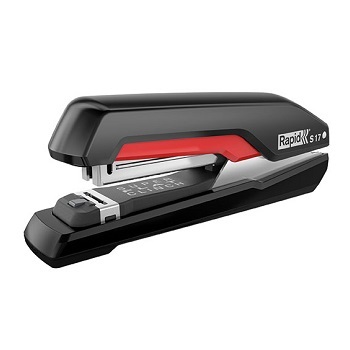 The eye-catching and trendy Rapid Freeze stapler range will be your new desktop favourite. 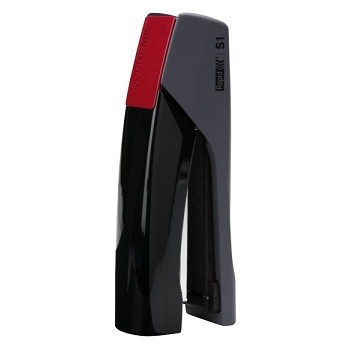 Solid steel mechanism with high-tech double injection moulded body. 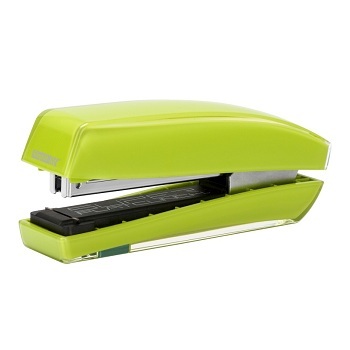 Range of colours designed to coordinate with Apple iMac products. 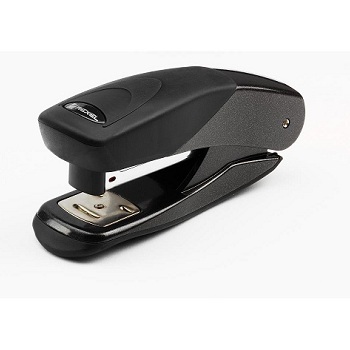 Ergonomic design executive half strip stapler. 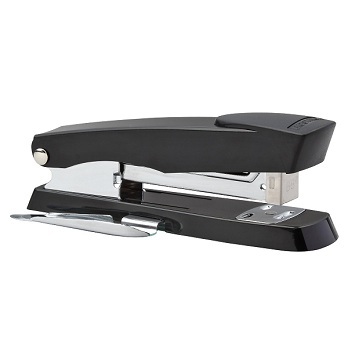 Strong steel construction with precision jam-free stapling mechanism and low staple indicator. Elegant, functional and noiseless reduced force stapler. Press Less™ lever technology means up to 50% less effort than standard. 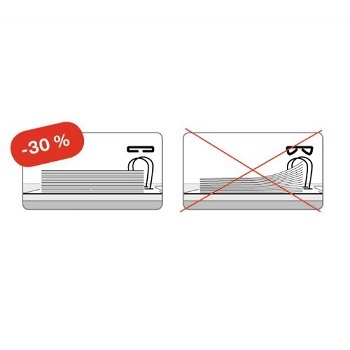 The patented SuperFlatClinch™ technology together with the innovative by-pass feature allows you to get superflat results - up to 40% reduced paper stacks. 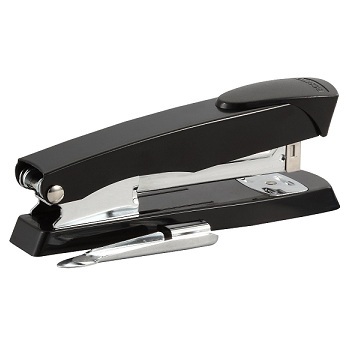 Solid steel construction with a full rubber base for precision. 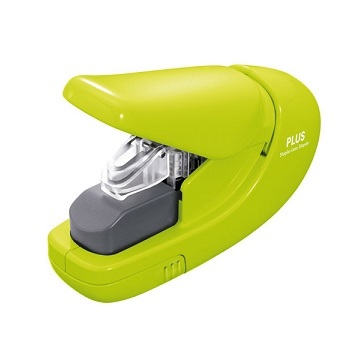 Use 24/6, 24/8, 26/6 and 26/8 staples. 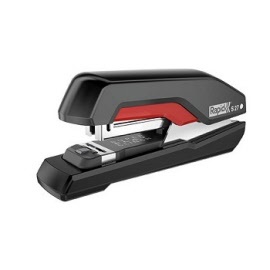 It remains one of the most popular staplers with its legendary compact design, high performance and lifetime durability. All metal, half strip stapler comes complete with an attached staple remover which doubles as a letter opener. 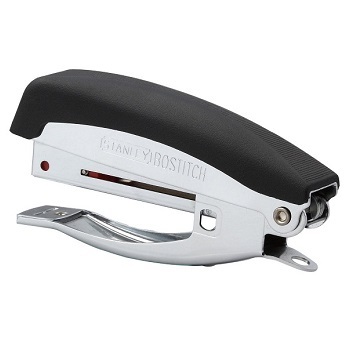 Opens fully for tacking and has a unique closure lock for easy, compact storage. 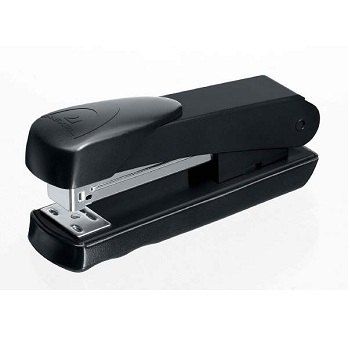 Use only Bostitch B8 Powercrown™ staples which are engineered to staple 50% more than standard staples. 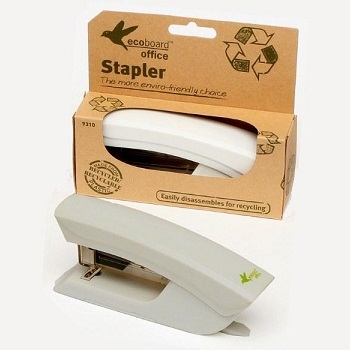 Staple-free stapler! 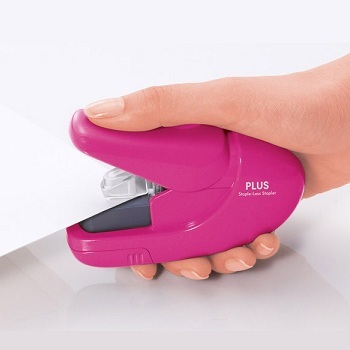 Fasten paper without using staples. You'll never worry about running out of staples again! 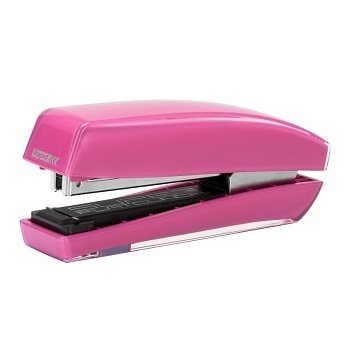 Perfect for school, home or office.